A new Magnus Carlsen instructional video has been released. Adding to his successes OTB and as a fashion model, Carlsen has released "Dress for Chess" instructing OTB players how to be properly clothed (haute couture) for tournament play. And as a sop to CC players there is an included special feature "Addressed for Chess" which details how to properly address a postcard for CC play. The video is featured on Norwegian TV channel 64 and is available at your nearest Chess King clothing store. He began playing in many CC tournaments with some success eventually qualifying for the 1976 Finnish championship as the lowest rated player. On the starting date he made his decision to some day become World Correspondence Chess Champion. He also decided to work in such a way to achieve that goal, no matter what it demanded! He won the Finnish championship, and that qualified him for the Eino Heilimo Memorial Tournament. His result there was 7/14 gaining him the IM title (1980). Thanks to the IM title he could take place in the Yugoslav-50 Tournament, a GM event. He finished in fifth place with 8 ½ out of 13, and the GM title. At that time (1985) he was the second youngest GM among the 90 in the world. On October 25, 2004, he began play in the 20th World Correspondence Championship and finished his last game on May 30, 2008. 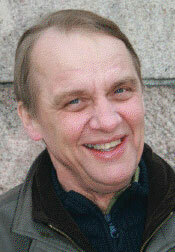 When his main competition could not win his final game, Pertti Lehikoinen fulfilled his quest to become World Champion. The 20th Championship was the last to be played by postal. The new World Champion shows his mastery throughout in this difficult game from the World Championship. Thanks to Carlos Flores Gutierrez for supplying the game. An unusual variation of the Sicilian: White has the two Bishops and a sound position. Black has a lead in development and recessed hanging center Pawns. Chances are dynamically balanced, though White has done all the scoring from this position. This just drives the Knight to a more aggressive post. Possible was 18. Bh5 first and then 19. Ng4. 18...Ng6 19.Rb1 Nf4 20.c3 Qc7 21.Bxf4 gxf4!? 22.Qb3 Rad8 23.Rfd1 Na5 24.Qc2 e5 25.b4 Nc6 26.c4?! White is desperate for counterplay. Maybe 26. Qg6 Rd6 27. Qh5 offers more hope. White shatters the Black center, but the cost of an exchange proves too high. 27...exd4 28.c5 Qe7 29.Nh2 a5 30.a3 Ra8 31.Nf3 axb4 32.axb4 Ra3 33.Bd3 Rfa8 34.Qd2 Qf6 35.Qd1 Kh8 36.Ne1 Qf7 37.Nf3 Qf6 38.Ne1 Qf7 39.Nf3 Rc3 40.Qe2 Bf6 41.Rd1 Rb3 42.Ne5 Qe8 43.Ng6+ Kg7 44.Qxe8 Rxe8 45.Nxf4 Rxb4 46.Nxd5 Rb2 47.g3 Bg5 48.Nc7 Rc8 49.Ne6+ Kf6 50.Nxd4 Bd2! The conclusion -- Black will play for an attack on the White King. The end could be 64. Nc4 Re2 65. Rc1 Rg3+ 66. Kf1 R3g2 67. h4+ Kf6 68. Bh3 Ryh2 69. Bd7 Ref2+ 70. Ke1 Bg3 and mate follows. IM Robert Rizzo annotates his win against James Fisher from the 1999 Absolute Championship. 6...a6 7.Be3 Qc6 8.Na7 Qc7 9.Nxc8 Qxc8 10.Na4 Nd5 11.Bd2 Qc7 12.e4 Nf6 13.Qf3!? 25.Kf1 e5 26.f5 would eliminate the mate threats which occur later. Eliminating the powerful Bishop pair. A valuable tempo arising from white's choice at move 25. Black's 3 on 2 pawn majority is a winning endgame right out of the pages of ECE. The addition of the Bishop controlling the a1-h8 squares just shortens the path. I generally like to actually read the book before doing a book review. It helps when the reviewer has read the material and can weigh and evaluate it. However reading all 433 pages of Correspondence Chess in Britain and Ireland from 1824 to 1987 and playing over all the included games is a daunting task. So far I have made it up to page 106, and I am enjoying it. I will (I promise!) read all the way through this book, but from what I have seen already, it is a valuable contribution to the history of correspondence chess. That make a postcard sting. The US Post Office is raising the rate to send a postcard to 29 cents on April 17. Mark Laboda demonstrates the lasting effect of space in this win from a 2008 Palciauskas tournament. Vladimir Iglesias writes that every time a Queen is sacrificed, it adds some beauty to the game. White's 23rd move must have heated up some extra electrons in its transmission.